Travis Pointe is estate waterfront property located on Lake Norman. This gated 7 acre (approx) parcel is considered by many to be the most sought after property on the lake. Unique opportunity with 1,359 feet of point lake frontage uniquely located on Lake Norman’s most desirable and unmatched popular, well developed east side of the of the lake. In addition to the vast acreage and stunning shoreline Travis Pointe offers a peaceful and quiet setting. Travis Pointe Drive is a long right of way that winds through a beautiful tree covered entry leading to the key pad gated entry. Off of Camino Real Road, not many people know about this magnificent property. Currently the property includes 2 homes and a recreation building with a kitchen. Other exterior features include horse stables, walking paths, extensive landscaping / gardens, lake access, boat ramp and 2 docks including a 3 slip steel constructed covered boathouse (unique opportunity with the current dock restrictions). See Images, Video and details about Travis Pointe on Lake Norman here…. Taka a look at this beautiful full brick w/ stone accents 3 (4) BR home w/ custom built outdoor living area w/ custom stone wood burning fireplace. Stunning kitchen w/ stainless appliances, granite countertops & extensive high grade trim throughout. Great room & Keeping Rm both offering gas fireplace. Spacious Owners suite w/ sitting area & spa bath w/ garden tub. Amazing outdoor living area. Must see, this home is perfect & shows well! Waterfront brick home with amazing views! Stunning wood floors & a soaring ceiling in the great room w/ wall of windows frames the lake views. Enjoy cozy evenings next to the 2 wood burning fireplaces. The main level Master Bedroom offers a spa bath & French doors leading to deck w/ hot tub overlooking the lake. The lower level has doors leading to patio & only steps to the covered dock w/ deep water. This truly is a great deal with a great water front view. LePage / Johnson Realty Group Inc.
Cornelius, NC Real Estate and Homes for Sale at Lake Norman. Cornelius, NC although thought to be a pretty small town offer fantastic Real Estate options for people looking to live on or near Lake Norman and still be able to commute to Charlotte. Cornelius NC offers many Communities, great schools, luxury waterfront homes and a great small town setting. Properties. Located next to the popular town of Huntersville, Cornelius has made a name for itself with its stunning waterfront homes and Luxury Communities. 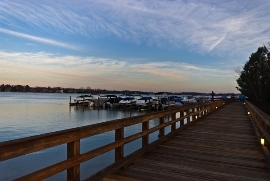 Cornelius hugs the shoreline of beautiful Lake Norman and has become a very popular place for replacing old lake houses with new high end luxury homes. Residents enjoy what many people think are some of the most spectacular views in all of Lake Norman. New luxury homes at this location, range from the $500’s to $6 Million. The Peninsula Club is home to many of Cornelius’ affluent. This Country Club style community has a beautiful 18 hole Golf Course, Club House, Tennis Center and Yacht Club. In addition to luxury homes, Cornelius offers a number of newer familiy oriented communities that start around $175k. In recent years the town of Cornelius has gone through some exciting changes with many renovations. New streets, street lamps, trees and building have really gave this already popular town a great new look. Many new commercial projects are also in the works to serve the surrounding residents and their needs. Cornelius is also known for its quality schools. A new middle school was built less than five years ago and a brand new high school is due to open in 2010. Located next to the popular town of Huntersville, Cornelius has made a name for itself with its stunning waterfront homes and Luxury Communities. 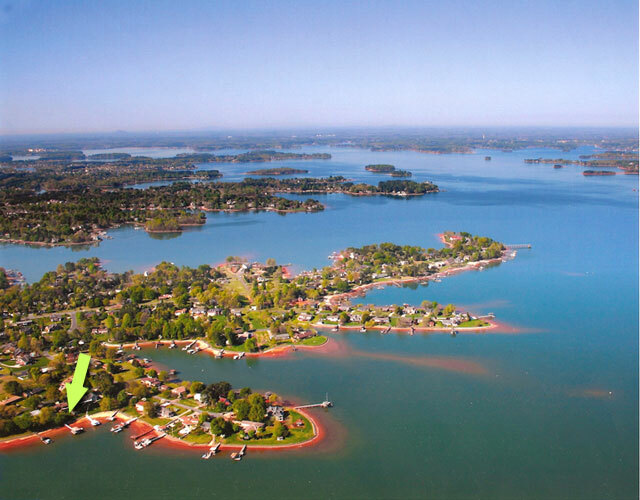 Cornelius hugs the shoreline of beautiful Lake Norman and has become a very popular place for replacing old lake houses with new high end luxury homes. Residents enjoy what many people think are some of the most spectacular views in all of Lake Norman. New luxury homes at this location, range from the $500’s to $6 Million. SEE MORE ABOUT CORNELIUS, NC at LAKE NORMAN – CLICK HERE!